Please excuse my exuberance. This is my first, ever, press release thanks to FirstEditionDesignPublishing.com! 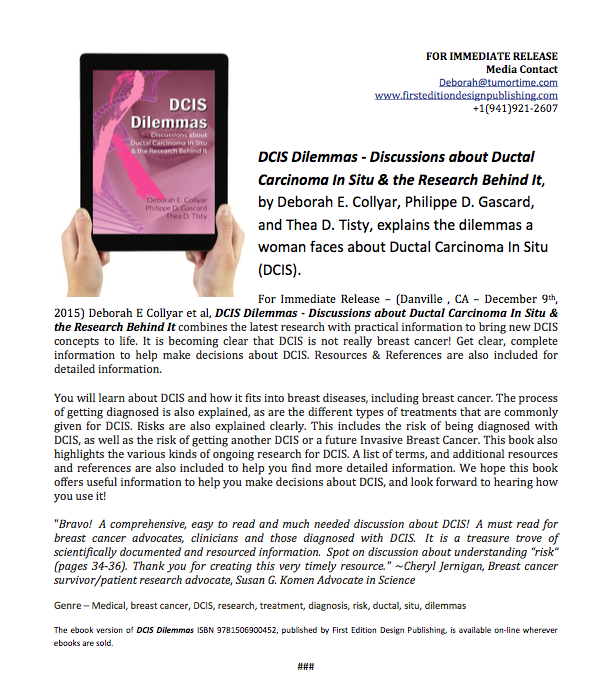 It feels good to get this done, and I thank Thea Tlsty and Philippe Gascard for their insights and hard work while working on the DCIS Dilemmas eBook. Click on the image for the full press release. Now on to 2016 – Happy New Year!